Sales are down 82 per cent from the year before. A sign advertises a house for sale in midtown Toronto, July 12, 2017. Sales of newly-built, single-family homes have plummeted in the Greater Toronto Area, according to a new report, and it's not because people don't want to move into them. It's because they can't afford them. The Building Industry and Land Association (BILD) announced last week that November sales of new single-family homes (detached, link, and semi-detached) fell 82 per cent compared to November 2016. Of the 3,473 homes sold in November of this year, 91 per cent were condo apartments. Sales are at their lowest levels in 17 years. Consultant firm Altus Group only began tracking the data for BILD since 2000. BILD president and CEO Bryan Tuckey said in a press release that single-family homes are still "the first choice" for many people. "The November data should not be interpreted as a sign of diminished demand for single-family housing in the GTA, in fact, quite the opposite, Tuckey said. "A big reason single-family homes represent a decreasing proportion of new home sales is that people simply cannot afford them." 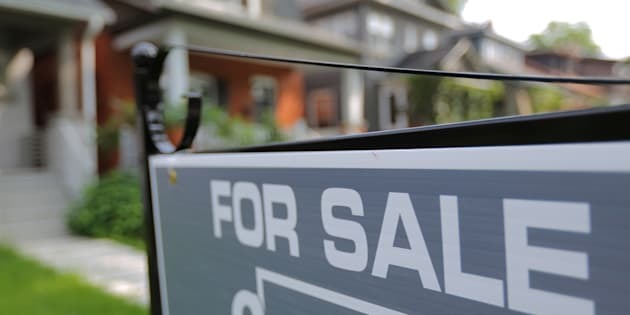 Housing markets in both Toronto and Vancouver are showing signs of recovery after the introduction of foreign buyers taxes. However, Toronto home sales were down 13.3 per cent in November compared to the same month a year earlier. Benchmark prices of new single-family homes have risen 25.1 per cent since last November to $1,223,610. New condo apartment prices have shot up 42.6 per cent since last November to $702,992, according to the BILD report. A report released earlier this month showed new condo construction in Toronto is at a record high, but that most units being built were one-bedroom or studio apartments aimed at buyers looking to increase their wealth. Altus Group vice-president Patricia Arsenault blames the sales decline on a "lack of affordable product." "As well, with more resale single-family homes available to purchase compared to last year, many potential new home buyers now feel they can take the time to explore their range of options more carefully," she said in the release.